East Villagers love to scribble. 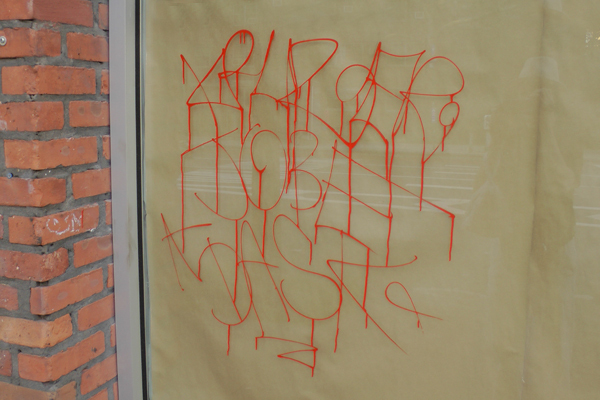 Some of the most popular graffiti is scribbling — just indecipherable scribbles! Most of the time, no one notices them, but every now and then, someone scribbles something in an interesting pattern! East Village Today does not recommend graffitiing, but if you're going to do it, do it on glass, so it cleans off easily — washable tempera paint is preferred! Keeping it real… in the East Village Today! That's pretty good! I made no effort to figure it out — I just like the shape!